We’re sure you all know that pineapples have made it BIG in fashion. 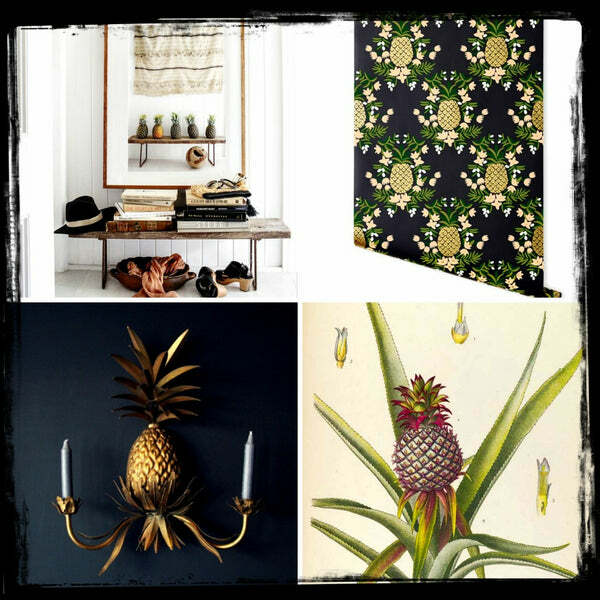 There are plenty of pineapples popping up in interiors also – the lamp, the candle, the printed wallpaper, the pineapple as a flower arrangement etc…a blog I like to read (decor8) calls it a “micro-trend”. Unlike a watermelon, for example, pineapples can be fun and kitsch whilst also presenting in a different guise – the serious, gilded, botanical drawing personality of the fruit. Contemporary, accessible and somewhat frivolous versus a traditional sign of hospitality and old fashioned glamour – different strokes for different folks. At Alex&Ant we’ve interpreted the trend in miniature print for your miniature person! Our beautiful hand-drawn piney is used as a small-scale allover print for dresses, rompers and separates. It’s not obvious and gawdy, nor is it old-fashioned, it’s Alex&Ant style. This entry was posted on Tuesday, September 29th, 2015 at 6:33 PM and is filed under Mini Models. You can follow any responses to this entry through the RSS 2.0 feed. Both comments and pings are currently closed.